Clock Oscillator Thru-Hole | QVS Tech, Inc.
QVS TECH Thru-Hole Clock Oscillators are available in a wide variety of packages to meet your needs. Our Clock Oscillators are available with tight tolerances and extended temperatures and are RoHS compliant. Features include Low Jitter, HCMOS/TTL Compatible Logic Levels and Enable/Disable Functions. QVS Tech Oscillators come in either Full Size or Half Size Cans. Typical applications include Test Equipment, Camera and Video Equipment, Modems, Routers and Networking Equipment. Clock oscillators mounted using the thru-hole package are mounted into holes of a printed circuit board. The leads are soldered, which provides permanent mounting. This type of mounting is used mainly in Dual Inline Packaging (DIP) and Pin Grid Array Packaging. Thru-hole technology is widely used in testing and prototype applications as they often need manual adjustments and replacements. 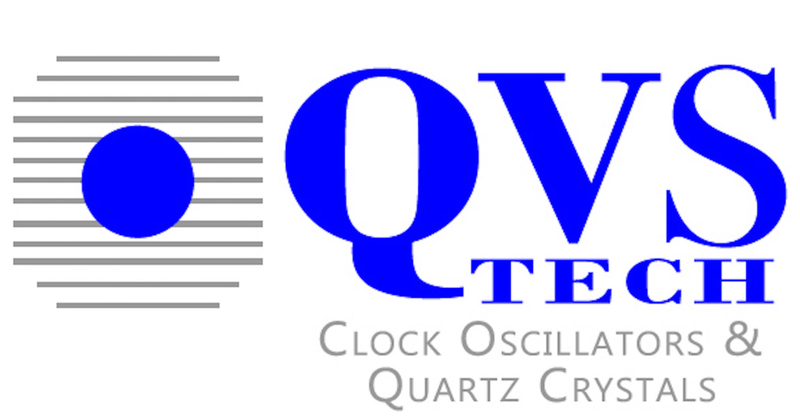 Call QVS Tech Inc. today at 760-929-8677 for a quote or to browse our catalog of SMD and Thru-hole clock oscillators. At QVS Tech Inc. we put the customer first, every time!